Heeft u een vraag voor Nantra Hua Hin Hotel? 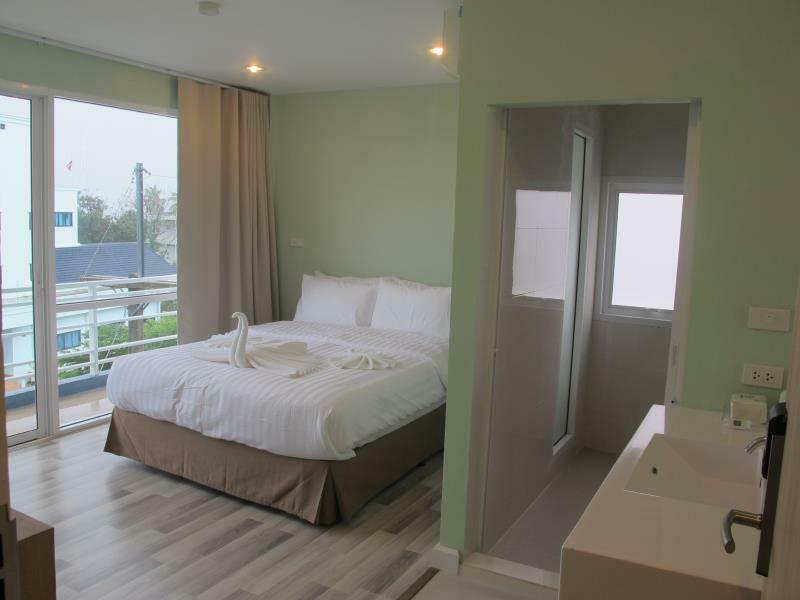 Nantra Hua Hin Hotel is gelegen in Hua Hin stadscentrum in Hua Hin en een uitstekende keuze voor een ontspannen verblijf. Vanaf hier kunnen gasten genieten van eenvoudige toegang tot alles wat de levendige stad te bieden heeft. Met de belangrijkste attracties van de stad - zoals Hua Hin handwerk centrum, Cake Chutima Bakery, Huahin Public Bibliotheek - binnen handbereik, zullen bezoekers van het hotel de locatie waarderen. Bij het Nantra Hua Hin Hotel staan de excellente dienstverlening en superieure faciliteiten garant voor een onvergetelijk verblijf. Gasten kunnen gebruikmaken van hotelfaciliteiten als gratis wi-fi in alle kamers, 24-uur receptie, bagageopslag, wi-fi in openbare ruimtes, businesscentrum. Aanvullend beschikken alle gastenkamers over een variëteit aan voorzieningen als plasma tv, internet (draadloos), draadloos internet (gratis), airconditioning, bureau, om zelfs de meest veeleisende gast te tevreden te stellen. Daarnaast garanderen de talrijke recreatieve mogelijkheden dat u zich tijdens uw verblijf kunt vermaken in het hotel. Fantastische faciliteiten en een uitstekende locatie maken het Nantra Hua Hin Hotel de perfecte uitvalsbasis om van uw verblijf in Hua Hin te genieten. This hotel is on one of the main roads in Hua Hin just a short walk to restaurants and 10min to the night markets. Room is small but didn’t bother me. Have to hand your room card in every time you go out. Only a few channels on the TV and not many in English. Good wifi. Shower head holder was loose. No bed side tables. Overall, it was a pleasure stay at this hotel. Although it is located in the town, it is a bit far from the night market or convenience stores such as family mart or 7-eleven if we walk. However, we can always ride a Tuk Tuk to anywhere. It’s only 3-min walk to the beach. The room was cleaned and quite spacious. However, the bed sheet and quilt cover had some yellow stains though not that obvious and if you don’t mind. The cleaners/staffs washed it themselves and hang at the back yard to dry. There were shampoo and shower gel in the bathroom but not toothbrush and toothpaste. Hair dryer provided upon request. A safety deposit and a mini fridge are available in the room. No kettle given in the room but thermal pot at the lobby. Coffee, chocolate and tea at the lobby are available for 24 hours. Reception opens 24 hours. All 3 receptionists were helpful but just the way they respond and facial expression seemed unfriendly. Only one lady receptionist couldn’t speak English. Good clean rooms, daily cleaning and fresh towels, bottled water. Good shower, refrigerator in room, tv with good channel selection. Breakfast included, basic, bread, cereal, fruit and drinks. 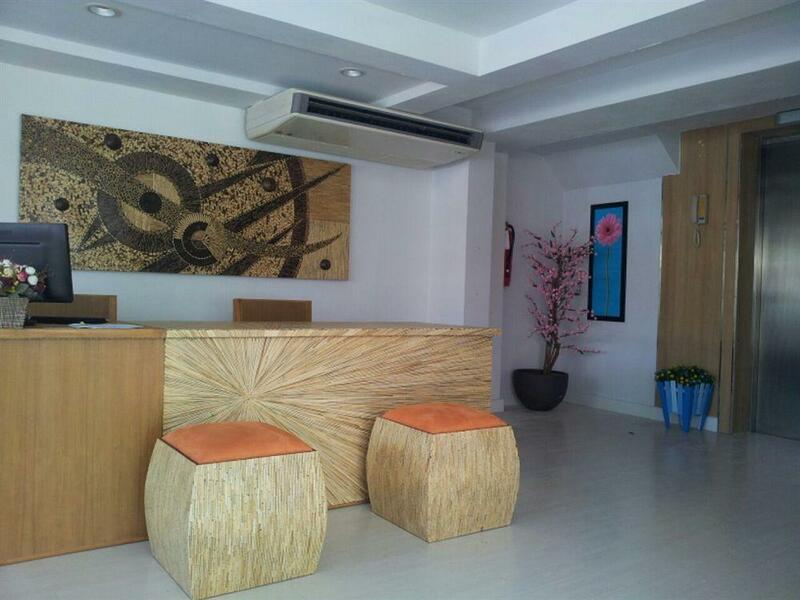 Walking distance to beach area and food restaurants. Good value for money. They even have free breakfast (simple bread jams and coffee). The rooms are clean and spacious. Location is near to convenience store (it’s hard not to find one nearby in Thailand) The beach is just behind. 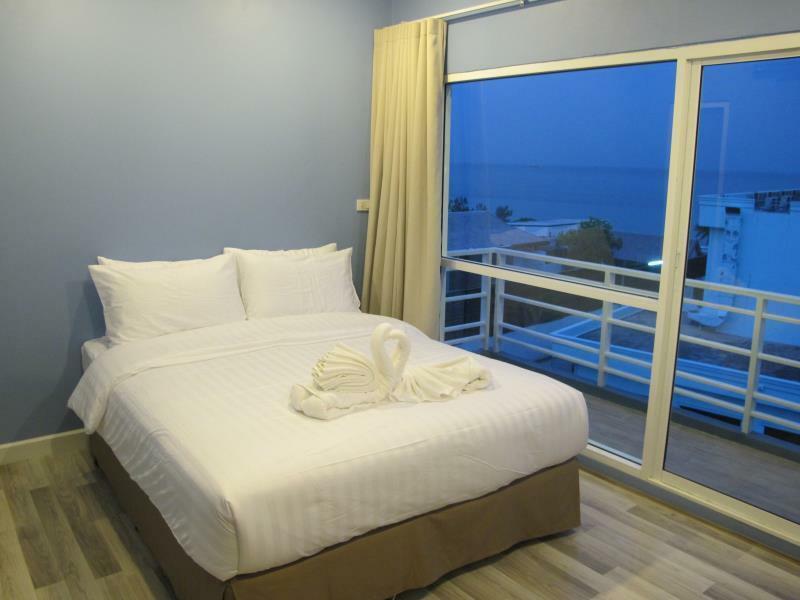 The Nantra Hua Hin Hotel is very reasonably priced for how nice the rooms inside are. Everything seemed to be renovated. It is located next to the waterfront, but it really isn't an ideal place for relaxing on the beach. The complimentary continental breakfast was a nice touch and the staff were friendly. The only negative thing I could say is that the walls are very thin and you can definitely hear some of your neighbors. But, for the price, the Nantra is a nice choice. Price was so budget. Location was great with just a walk to the beach & the night market. Staff less spoke English but they were helpful. Breakfast was with bread, banana, coffee and tea but very good for such cheap rate you spent. Rooms with less facilities but were okay for our group. Everyone loved this place so much, this was a very peaceful place to relax with very nice local people. We would come back in near future. My room was clean and bright.I had a very comfortable bed with good linens. One wall is window,with doors onto a sea facing terrace,cool breeze morning and evening,very pleasant. Housekeeping is daily and efficient.Staff are willing,communication takes work. The bathroom in room 406 smelled of drains,facilities are good,big sink with a plug. Breakfast was not included,but is advertised free on the street. Location is walking distance from most attractions. If you eat in the room,ants will appear. I enjoyed my stay,and slept very well, thank you. Arrived with my partner for a 4 night stay and was impressed with the hotel so booked another 4 nights. It is very clean and the staff are friendly and professional. Breakfast had quite a minimal choice but was sufficient. Location okay but no problem at all if you have a motorbike. Enjoyed our stay and would definitely book again. The hotel is in a good location, quite new. Have a fast wifi. Good coffee store and bakery opposite the hotel. Around 400-600 m to the bars. But, even the hotel is quite new, I guess, the maintanance is not so good, looks a bit old inside in some rooms. Stayed for 3 weeks it's 2mun walk to beach shops & restaurants but in a quiet spot. Easy to get tuktuk or Taxi if you're going further. Staff are very helpful & are happy help although they are not travel guides so don't expect 100s of suggestions for where to go & trying to sell tours. They will however help you to organise taxis & we got them to order takeaway for us which we are on the nice patio area. Breakfast is basic but free & tea/coffee is available 24hrs on the patio which is a real bonus. Rooms are large & clean there's no wardrobe but I asked for some extra hangers & it wasn't a problem. Good clean hotel with all you need& helpful staff 2min walk to shops & restaurants & beach. Really liked the terrace where you can help yourself to free tea & coffee. Reception very helpful even ordering us takeaway pizza to eat on terrace. Rooms are spacious & cleaned daily with everything you need.